AirAsia India has added a twelfth aircraft - Airbus A320 - to its fleet. AirAsia India has added a new route and flights to its domestic network. Aimed at the government's push for regional connectivity, AirAsia India's new route connects Hyderabad with Jaipur. 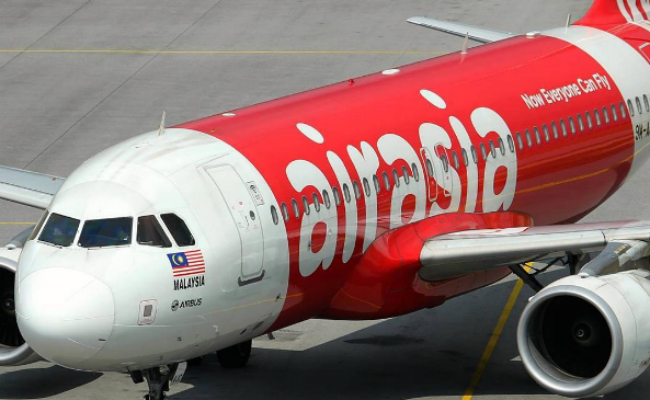 "Apart from this (Hyderabad-Jaipur), the airline has also added an additional flight on the Bengaluru-Bhubaneswar and Kolkata-Bhubaneswar routes," AirAsia India said in a press release. AirAsia India, which is a joint venture between Tata Sons and Malaysian carrier AirAsia, has also added a twelfth aircraft - Airbus A320 - to its fleet, it added. AirAsia said the new aircraft will be stationed in Bengaluru. "We received great reception in less than a month of starting operations in Bhubaneswar and are happy to intensify by adding another flight. We strive to provide connectivity to India's key and underserved routes," said Amar Abrol, managing director and CEO, AirAsia India. Giving details of the new flights, AirAsia India said flights Jaipur-Hyderabad route will be operated from September 1, 2017. Bookings for the new sector announced by AirAsia India are open. 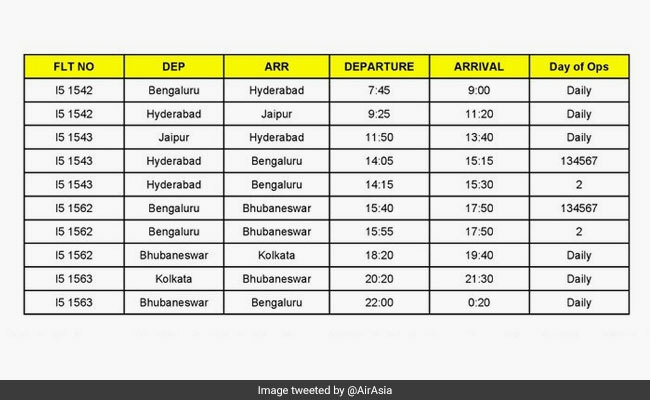 Guests can book their flights on the airline's website and mobile app to avail fares starting at Rs 1,999 for flights connecting Hyderabad-Jaipur, AirAsia India added. 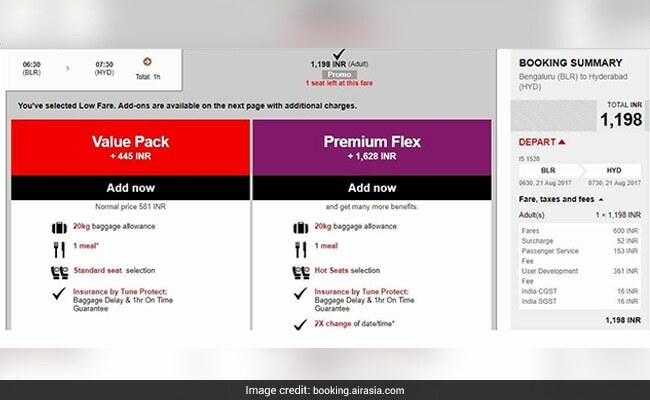 A search on the AirAsia bookings portal on Monday showed tickets for flights from Hyderabad to Jaipur in mid-September were being sold at Rs 1,999. 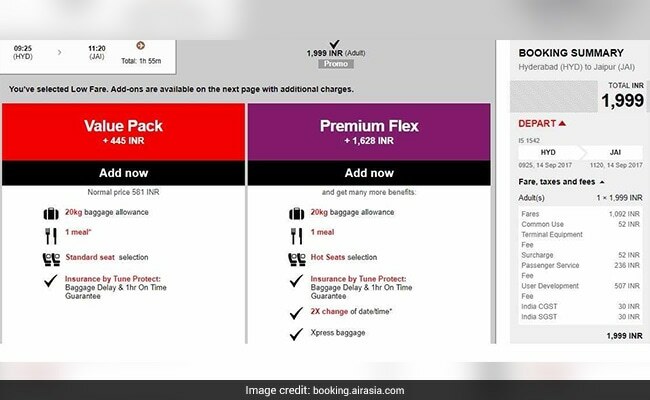 AirAsia India was offering flights below Rs 2,000 on some routes in a limited-period promotional scheme. Also, tickets for flights from Bengaluru to Hyderabad later this month were available at Rs 1,198 (including GST or Goods and Services Tax). AirAsia India covers destinations including Goa, Chandigarh, Pune, Guwahati, Imphal, Visakhapatnam and Srinagar on its domestic network. It currently flies to 16 destinations with its hubs in Bengaluru, New Delhi and Kolkata, the release noted.